Simpsons are celebrating 25 years of living it up! 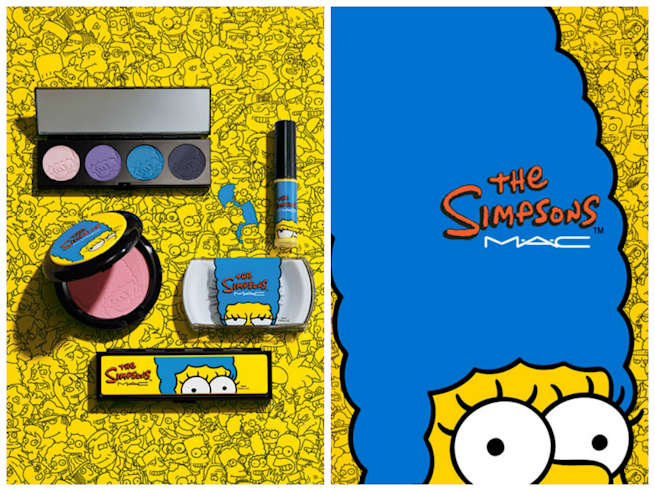 How cute and adorable is that,to celebrate this Occasion, M.A.C is giving all its lovers a chance to get simpsonized. 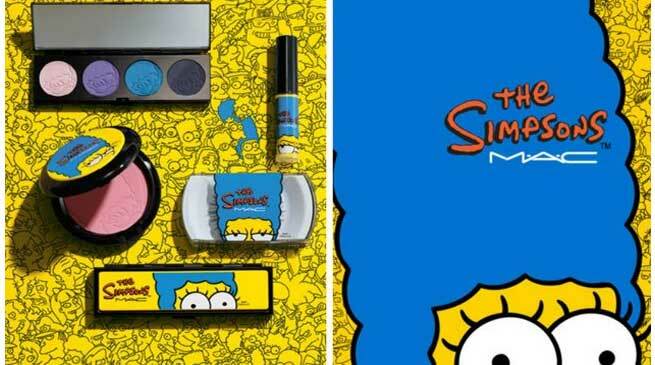 They are launching an exclusive M.A.C Simpsons collection inspired by Marge Simpsons. The details are all under wraps but we do have a sneak peak of it for you. Why Marge Simpson, you wonder? Well, it’s the whole Simpsons family they are honouring but Marge in particular because of her moralistic, motherly nature. Marge Simpsons, wife of Homer and mother of Bart, Lisa and Maggie is quite a stir among the mom’s and a household name too. She is a full time homemaker and the one who controls the Simpsons family. She is also famous for her blue beehive hairdo. We are wondering if any product will be named after her iconic hairstyle or not? Hmm, that’s really for us to wait and watch. Just like her catchphrase, Now it’s Marge’s time to rise and shine, it really is. A collaborative collection with the World’s prominent Beauty brand, Marge Simpsons, you sure are a lucky woman! It’s bright, it’s beautiful just like it’s from Marge’s make up kit – out from the world of Simpsons, made available to us. • Dual signature eye-shadow palette in bright colors that epitomize the Simpsons look. • Fake eye lashes – After all, Marge does have a unique four lash look to inspire. At present, it’s just a sneak peek into this vibrant collection that the brand has provided but it’s not too far from the launch date. 4th September, the collection marks it début online and in stores. So save the date, I am sure it’s going to be as exciting as it sounds or may be even more? Well, now that the Simpsons collection is out, we would love to see a Barbie inspired collection someday. It’s really a gesture of M.A.C to launch a collection inspired from an animated family, of twenty five years old. Do you also love Simpsons to the moon and back? Would you grab a pie of this limited edition collection? Do let us know through comments in the below section or mail.